Malta: 69 songs now in contention! The Maltese broadcaster, PBS, has selected 69 songs to be considered for phase two of the 2013 Malta Eurosong selection. Many familiar faces return and one song is co-written by Thomas G:sson, composer of Euphoria, the winning Eurovision song by Loreen from Sweden. 182 songs were submitted and it must have extremely hard work to select the songs to go forward to the next stage. Familiar acts such as Fabrizio Faniello and Miriam Christine (former Malta Eurovision representatives) are through to this phase. The semi final and final are likely to take place on 25 and 26 January. 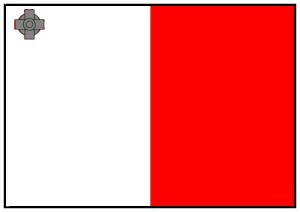 Although this is subject to confirmation due to the Maltese general election in 2013.